Our product range includes a wide range of high pressure hydraulic power pack and electrically operated hydraulic power pack. With rich industry experience and knowledge, we are presenting our patrons High Pressure Hydraulic Power Packs that are used in assorted industries. Our competent professionals use the contemporary technology and quality proven material for designing this product. This product is known for its unique features and deigning. Moreover, our honoured patrons can purchase the presented product from us within a budget. 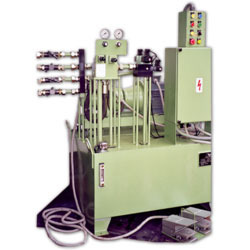 Due to flawlessness and quality oriented approach, we have engraved niche in the industry by providing an enormous grade array of Electrically Operated Hydraulic Power Packs. 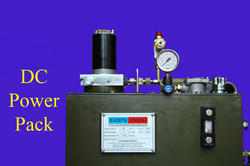 In order to make sure the quality of products, talented professionals examine this power pack on assorted parameters. Except with this, we provide our whole range in assorted provision, in order to meet speckled needs of our patrons.